I recently signed up for Sew Box Subscriptions, and when my November box arrived, found all these wonderful Christmas inspired treats inside. 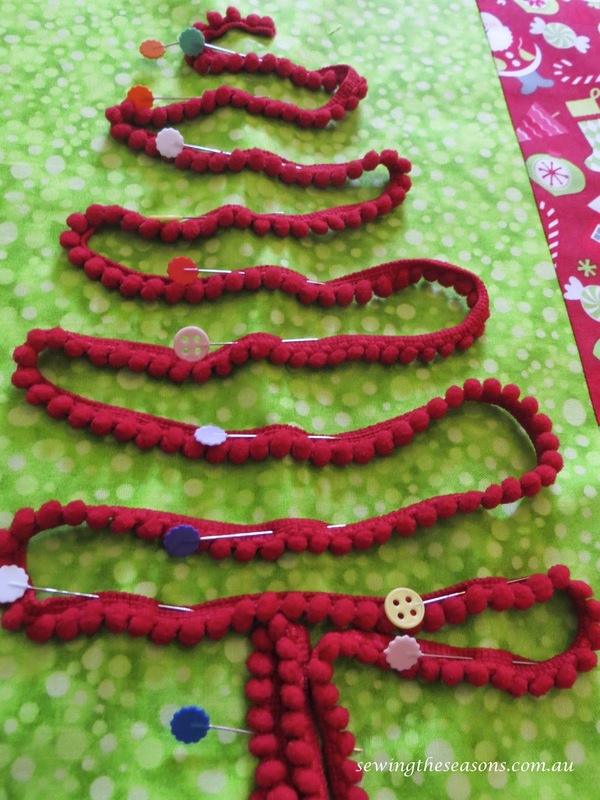 As part of the personal challenge I have set myself this year to create more, I set about designing a Christmas Hanging. I had so much fun playing with the fabric, trim & buttons. Here is a quick tutorial on how this came together. Wadding or pellon (iron-on if preferred) 14" x 20"
Thread: to match fabric & also trim when attaching tree. 5. Add button as wrapped gifts at base of tree, the number of buttons to your liking or depending on size of your design. To make wrapped buttons. Sew a piece of the 3mm ribbon at back of button - leaving button holes clear, once secure cut off excess. Then wrap from back another piece in opposite direction & tie a bow. Trim ribbon. To attach to hanging, I sewed on using button holes as guide, coming up one hole, from above the ribbon, then going down other hole below the ribbon. Next stitch I came back up the first hole from under the ribbon and crossed over going down the other hole above the ribbon - this formed a cross stitch effect securing the ribbon bow as attaching the button. 6. 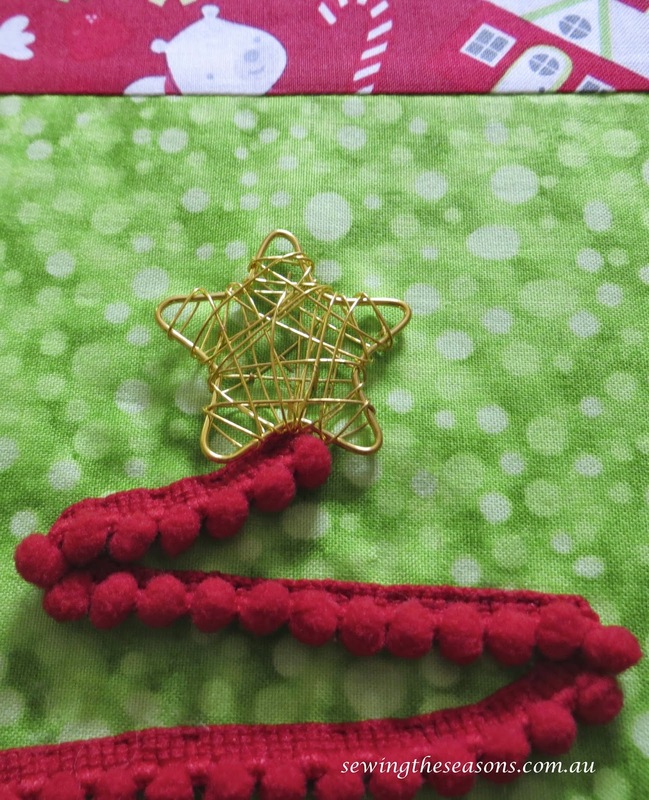 Attach button/star/decoration of your choice to the top of the tree. 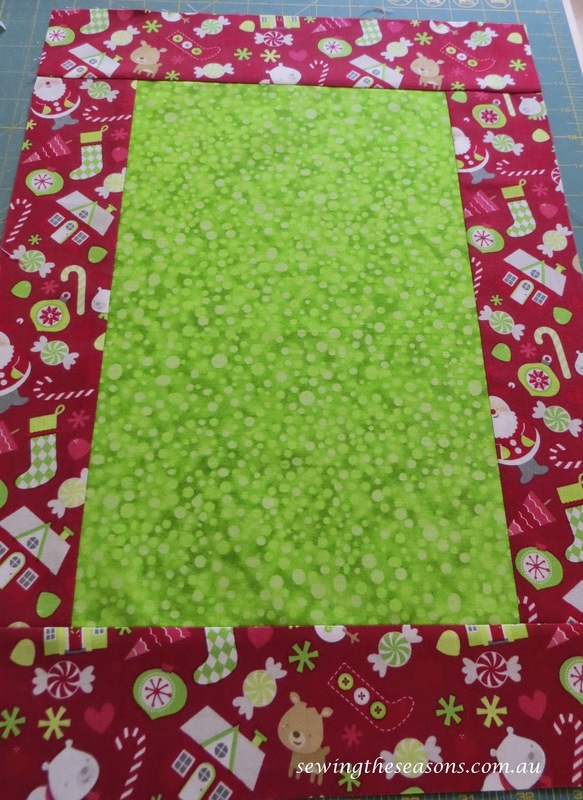 Cut backing fabric into 2 pieces - 13 1/2" x 16 1/2" and 13 1/2" x 3 1/2"
Join across the width (13/12") of the backing pieces with 1/2" seam. join the two pieces with a 1/2" seam. I change stitch length to a long stitch for about 3-4" in the middle of this join, then change back to normal stitch length to finish the seam (reverse stitch at each end of short stitched line). 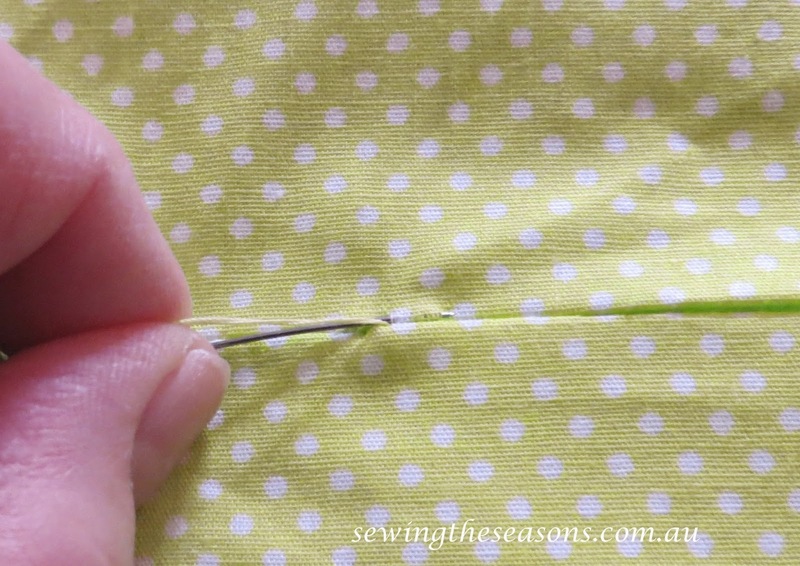 Press seam open then unpick the long stitches - giving you a neatly presses gap to turn through before sewing up. 8. Pin hanging & backing right sides together. 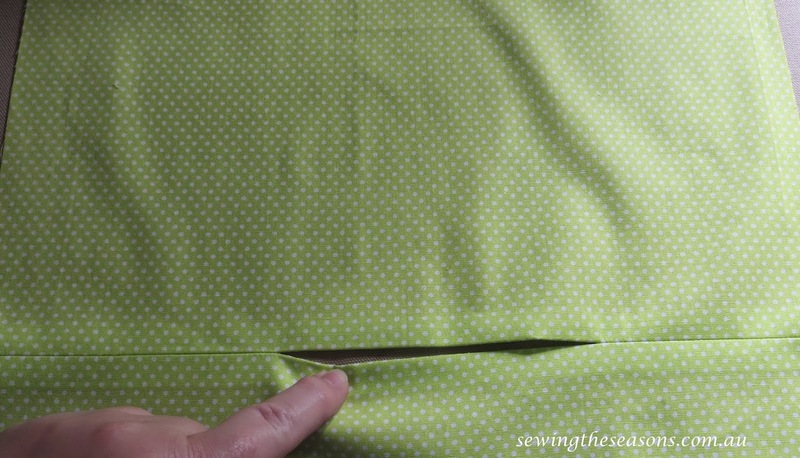 Sew all around with 1/4" seam. 9. 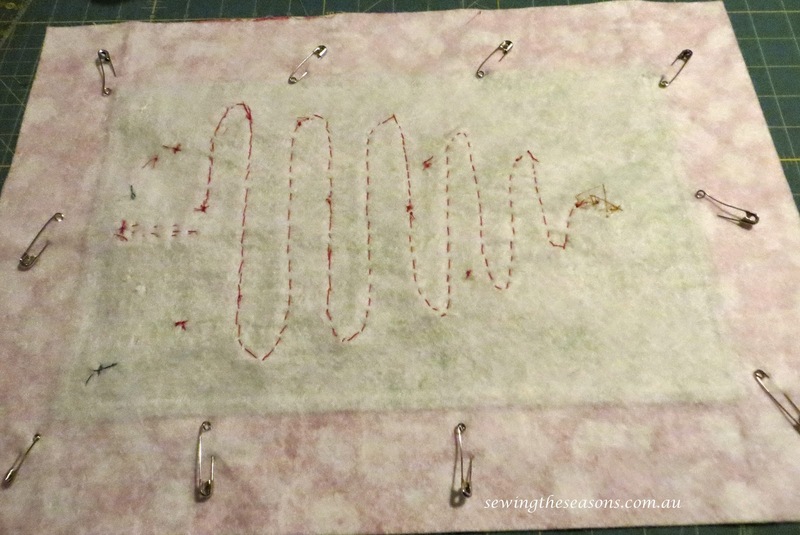 Turn through the gap in backing piece, slip stitch gap closed. 10. 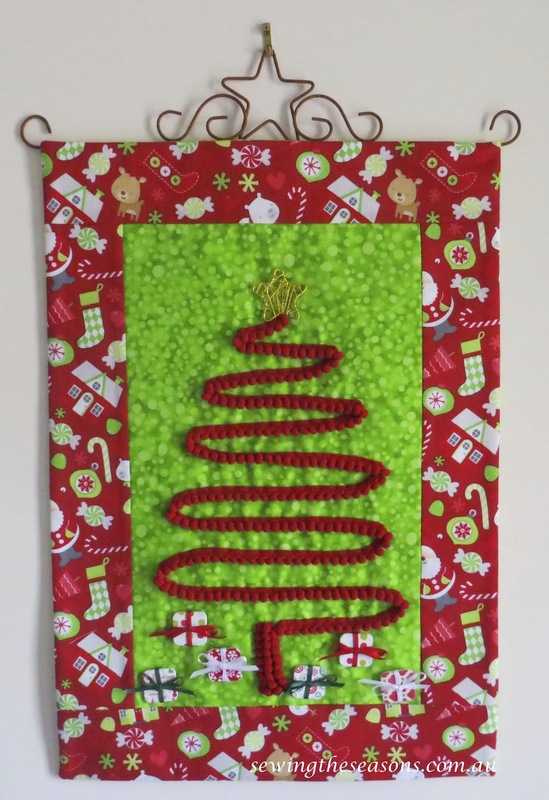 Attach your hanger and display your finished 'All Wrapped Up' hanging.